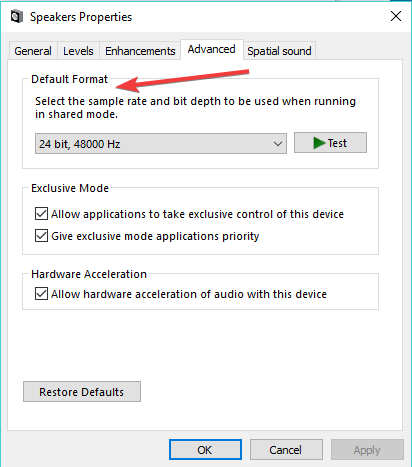 We recently showed you what to do if your sound is not working in Windows 10. But we didn’t cover an issue that’s even more annoying. 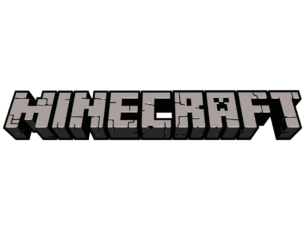 Well, in this guide, we’re going to focus on static noise issues. I’m going to show you a few solutions to fix this issue. Outdated or corrupted drivers could cause a lot of problems, especially with sound and graphics cards, and especially in Windows 10. So, an outdated driver could also be a cause of the static noise issue. 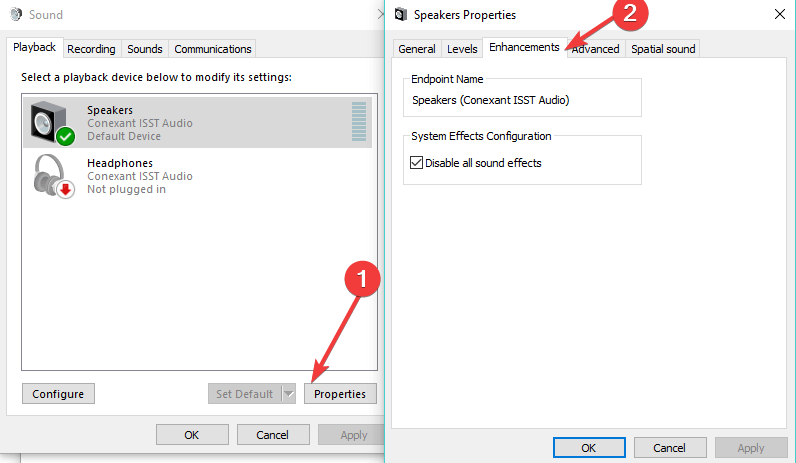 To make sure all your sound drivers are updated, go to Device manager, find your sound device, and go to Update driver. You can also go to your motherboard’s manufacturer site and download the latest sound driver from there. We recommend you to download this driver updater tool (100% safe and tested by us) to do it automatically. But if all your drivers are updated, than driver is not a problem, and you should try some of the following solutions. There’s a big possibility that your problem with static sound is not software-related at all. So, even if it’s unusual for our website, this and the following solution are going to require some hardware fixes. First, I recommend you to try other speakers, because damaged speakers could often cause the static noise. So, try using other speakers, and hopefully, you won’t be hearing any static noise from your speakers anymore. 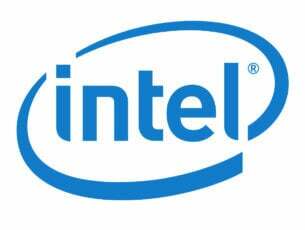 Another hardware issue which could cause a buzzing sound is when a CPU needs more power than usual. This usually happens during summer, when temperatures are high. Therefore the temperature of your computer is also higher, and it requires more power. So if overheating is causing a static noise, that means that your current CPU fan is probably not powerful enough, so consider getting a new one. Also, since more power is needed, you should also consider getting a more powerful power supply for your computer. Some people who faced a static noise issue on their computers also reported that getting a power conditioner solved the problem, so you should consider getting one, too. Disable All Sound Enhancements > hit Apply. Some users confirmed that changing the audio format to 24 bits fixed this issue. If the problem persists, try using a different audio format. Note: You need to change the audio format for every multimedia app and hardware installed. 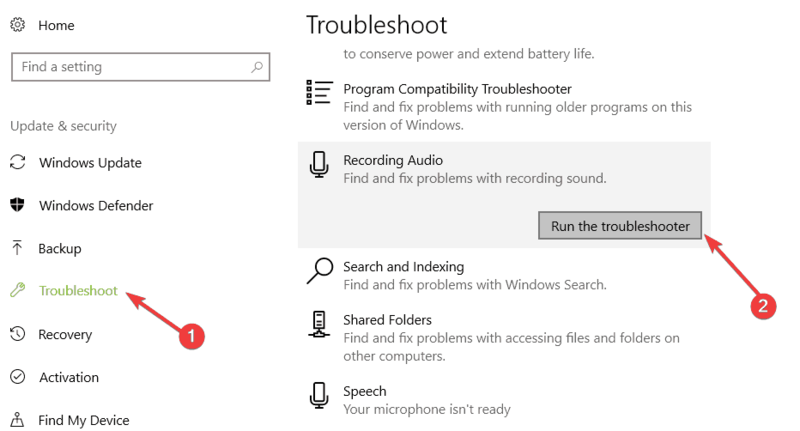 Windows 10 packs a series of quick troubleshooters in the Settings page. You can use these tools to automatically solve general technical issues affecting your computer. 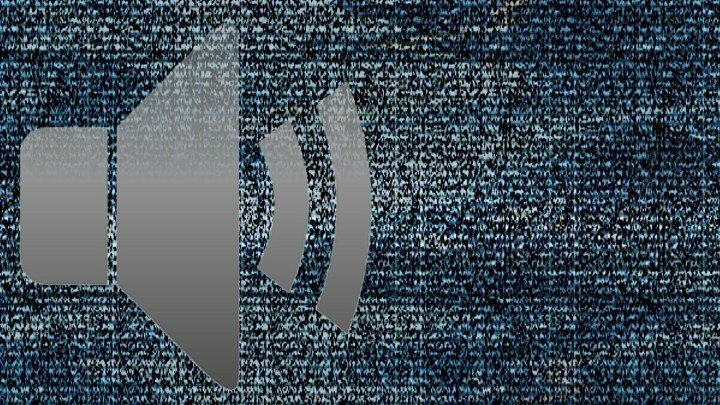 For this static noise problem, you can use the Audio Troubleshooter. Go to Settings > Update & Security > Troubleshoot > select and launch the troubleshooter, as shown in the screenshot below. That’s it, as you can see, static noise is usually caused by a hardware, so Windows 10 doesn’t necessarily have to be the cause of this issue. 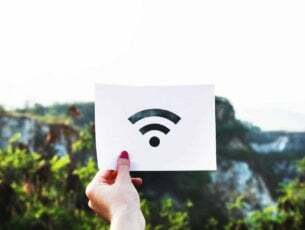 On the other hand, if you still face the problem in Windows 10, even after checking all above-mentioned issues, tell us in the comments, and we’ll try to find an alternative solution for you.